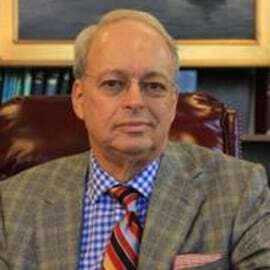 Clay Maitland has worked in the shipping industry since graduation from law school in 1968. Clay has been employed by International Registries, Inc. for over 41 years and is now a managing partner and an owner of the company, which administers the Marshall Islands Ship Registry – the third largest registry in the world, and which is now one of the best-known yacht registries. He is President of the Trust Company of the Marshall Islands (TCMI), the statutory Maritime Administrator of the Republic of the Marshall Islands. Prior to the year 2000, Clay held similar positions with regard to the maritime administration of the Republic of Liberia. Clay was born in London, England on December 28, 1942. His father was a pilot in Bomber Command of the Royal Air Force, and was lost with his plane, a B25 Mitchell bomber in March of 1943. Clay’s mother was a native New Yorker, and he came with her to the United States in 1946, aboard RMS Queen Elizabeth. At that time, IR managed the Liberian ship registry, which was, at the time, the largest in the world by tonnage in number of ships. Founded by former Secretary of State Edward Stettinius, who had been president of U.S. Steel, and during World War II, War Shipping Administrator and then Lend-Lease Administrator, the company included among its early investors, Allen Dulles, Esq., who was then a partner in Sullivan & Cromwell. Mr. Dulles went on to become Director of the Central Intelligence Agency. This company, under the name of Liberian Services Inc. included a bank in Liberia, of which Clay Maitland also became an officer after he joined the company in 1976. The genesis of the Stettinius family investments in Liberia arose when President Roosevelt flew from Casablanca, after the famous conference with Winston Churchill and their staffs, to Monrovia, Liberia in January, 1943, to observe the opening of what was to be a major air base, now Roberts Field. Mr. Stettinius himself flew to Liberia after the Yalta Conference in 1945. Since his early years as a Maritime lawyer, starting in 1969, Clay has been involved with a number of philanthropic and professional associations connected with the industry. In addition to those listed above, Clay is on the boards of the Maritime Industry Museum, at Fort Schuyler (SUNY Maritime College) and the King’s Point Maritime Museum, at the U.S. Merchant Marine Academy. He is on the board of directors of the Sea Research Foundation, created by Dr. Robert Ballard, the discoverer of the wreck of RMS Titanic, and which operates among other things the research vessel Nautilus. Among his other affiliations: Member of the Executive Committee and Director of the Coast Guard Foundation; member of the Board of Directors of the Coast Guard Auxiliary Foundation; Member of the American Bureau of Shipping, and of the National Cargo Bureau; Founding Chairman of the North American Maritime Environment Protection Association (NAMEPA); Chairman Emeritus of the National Maritime Historical Society (publishers of SEA HISTORY magazine); Chairman of the North American Maritime Ministry Association (NAMMA) Industry Advisory Council; board member of the Maritime Industries Academy Foundation (Baltimore Harbor School); a member of the New York City Bar Association and Maritime Law Association of the United States; former Chairman of the National Maritime Historical Society; former Chair of the Admiralty Committee of the New York City Bar Association, and of the Committee on Intergovernmental Organizations of the Maritime Law Association of the United States (MLA). Clay continues to serve as a delegate to the Legal Committee of the International Maritime Organization (IMO) in London. Clay has served on the Executive Board of the World Maritime University in Malmo, Sweden and is a member of the Standing Committee of the Marine Society of the City of New York. He is currently Chairman of the Hellenic-American Chamber of Commerce. Clay received the Honorary Degree of Doctor of Letters from the State University of New York Maritime College in 2006, and was decorated with the U.S. Coast Guard’s Distinguished Public Service Award in 2010, by the Commandant of the Coast Guard, ADM Robert J. Papp. The Virginia Maitland Sachs Charitable Scholarship Fund at the Massachusetts Maritime Academy, Buzzards Bay, MA, for the benefit of students at the Academy.